Designed by Arka Design. 4 leg frame is available in a chrome (C), Stainless (S) or painted (P) finish. Sled Base, Pedestal Base, Swivel Base Chairs & Swivel Barstool only available in chrome. Stackable Barstool available in painted aluminum finish or chrome. Task Chair offered with a durable painted base (aluminum paint color). Chrome base available on special order at an upcharge. Upholstery panels available for seat only or seat and back. 'US' suffix for upholstered seat only, 'USB' suffix for upholstered seat and back. Please be sure to indicate shell color on your order. Back side of shell always visible. COM?Yardage: an upholstered 'seat only' requires 3/4 of a running yard. You can get two seats from that same running yard. An upholstered 'seat and back' requires 1.25 yards per chair. Call for specific yardage calculations based upon your total quantity.30 Lbs W 21.25" D 21.75" H 32.75" - 42.50" StH 20.50" - 30.25"
Gibraltar Furniture is the premier location for low cost modern furniture including mid-century classics, retro, art deco, and post modern designer interior products at Discount Prices Gibraltar details, click here. Gibraltar furniture (Yahoo News Review click here) specializes in high end architectural, home, office, outdoor, and design items at factory direct rates. Based in Beverly Hills, California, Gibraltar furniture showcases original and ultra high quality reproduction classics from Europe, American & Asia. All purchases are protected via the Yahoo Buyers Protection Plan and our Lloyds Of London warranty program . Our fifty year old store features designs by world renowned architects inclding Charles Eames, Arne Jacobsen, Frank Lloyd Wright, George Nelson, Ludwig Mies van der Rohe, Marcel Breuer, Le Courbusier, Isamu Noguchi, and more!Our products are second to none and our customers rave about our customer service and our high quality Gibraltar reviews, click here. Kreature Stools, chairs, sled chairs, task chairs, barstools, office chairs, swivel chairs, and a nifty dolly cart configuration are all supported options. Designed by Arka Design. 4 leg frame is available in a chrome (C), Stainless (S) or painted (P) finish. Sled Base, Pedestal Base, Swivel Base Chairs & Swivel Barstool only available in chrome. 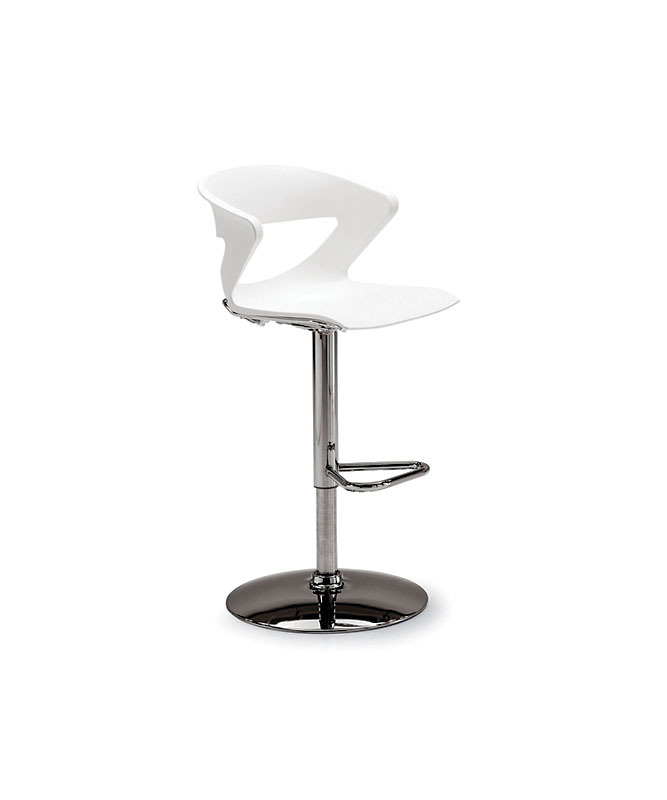 Stackable Barstool available in painted aluminum finish or chrome. Task Chair offered with a durable painted base (aluminum paint color).